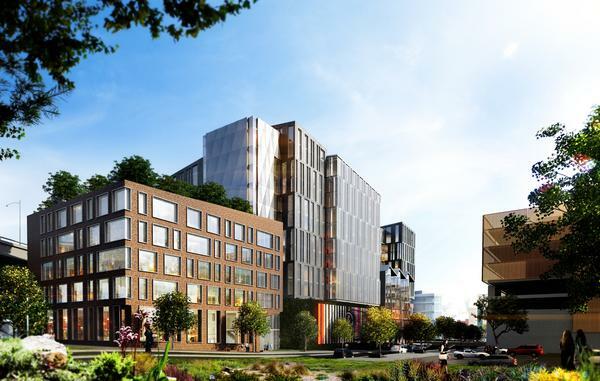 Kilroy Realty Corp. unveiled a new look Thursday for the four-building office campus in Mission Bay that it announced in June it plans to build. The big statement? Goodbye, Mission Bay conventionality. The $450 million, 700,000-square-foot office complex at at 1800 Owens St. will not have the “institutional design” that has given Mission Bay a poor architectural reputation, said Mike Sanford, a vice president at Kilroy Realty. The Lot 40 complex has gone from lots of glass and lots of concrete blocks to one with the industrial flavors of the adjacent Dogpatch and Potrero Hill neighborhoods. Los Angeles-based Rios Clementi Hale Studios is the architect. The office and retail complex is now dubbed “Exchange on 16th.” It’s made up of two six-story and two 12-story buildings that will look to appeal to technology tenants with roof decks, high ceilings, natural light and views of downtown and the Bay Bridge. The four buildings will connect so that three floors will have 90,000-square-foot floor plates. 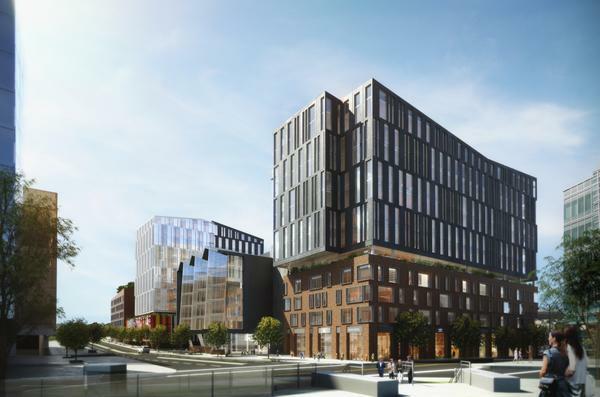 The Mission Bay neighborhood already got a big endorsement from the city’s premier tech tenant when Uber bought a site to build a headquarters there last summer at at 1455 and 1515 Third St., in partnership with Alexandria Real Estate Equities. Construction is set to start next year for Kilroy’s project without a tenant in hand. Kilroy has a lot riding on its success. 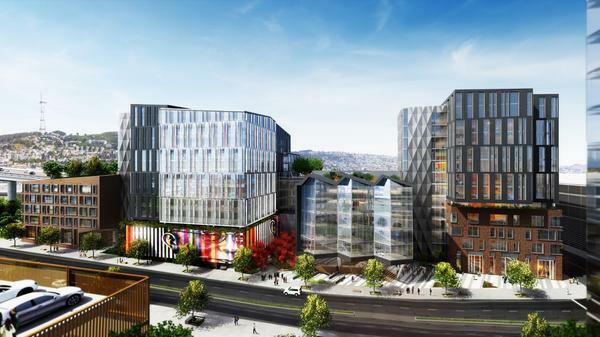 It paid $140 per square foot — more than the company paid for their other development sites at 333 Brannan St. and elsewhere in SoMa. 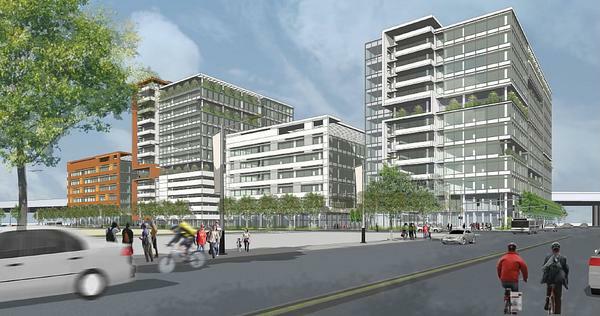 The complex — bordered by Interstate 880, 16th Street, Fourth Street and Mariposa Street — will also be one of the first major buildings that drivers see when coming into San Francisco on Interstate 880.